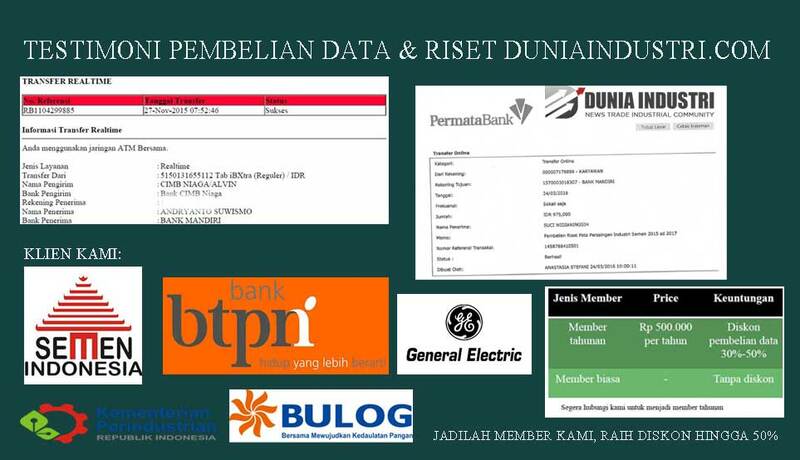 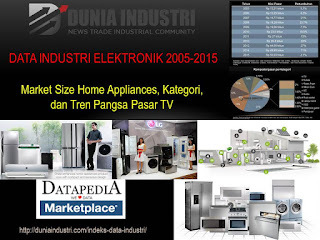 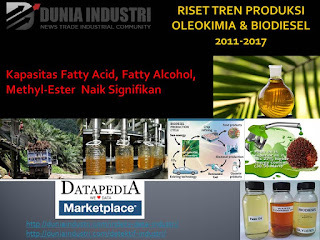 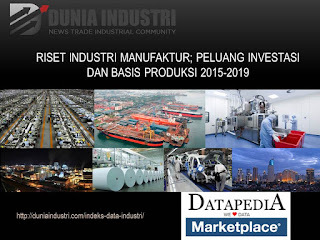 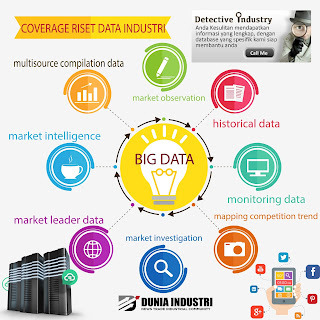 Duniaindustri.com, sebuah startup khusus di segmen industri, memperluas cakupan riset data industri. 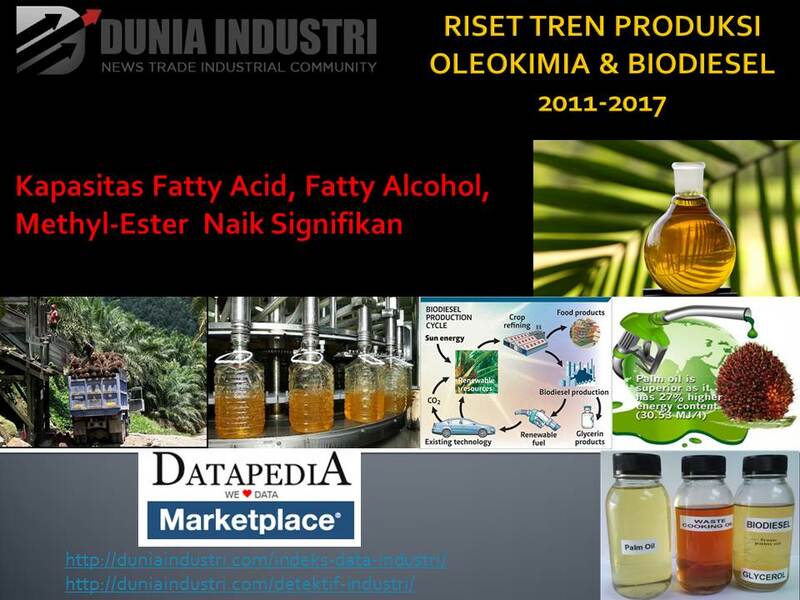 Perluasan cakupan riset data industri mencakup market database, manufacturing data, market research data, market leader data, market investigation, market observation, market intelligence, monitoring data, market competition data, multisource compilation data, market domestic data, market export data, market impor data, market directory database, competitor profiling, market distribution data, consumer database, mapping competition trend, profiling competitor strategy, market data analysis, historical data, time series data, tabulation data, factory directory database, market segmentation data, market entry strategy analysis, big data processor, dan price trend analysis. 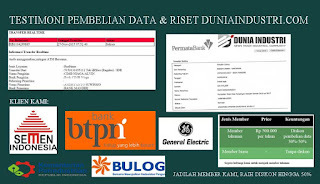 Sementara stakeholders riset data industri adalah investor, board off directors (BoD), researcher, investment bankers, strategic & corporate planners, financial controllers, financial & business analysts, investment analysts, relationship managers, investment bankers, business appraisers, corporate finance officers, general managers, corporate & government officers, finance & accounting staff.